At the time they start school, at least one child in every class will have been living with domestic abuse since they were born. SafeLives Insights dataset reveals that two in five children (41%) in families where there is domestic abuse have been living with that abuse since they were born. For some children, this exposure to abuse does not only start early, but persists into later childhood. Of all the children in our dataset who had been living with abuse for their whole lives, over a third (37%) were more than five years old. Combined with information on the percentage of all children who have been exposed to domestic abuse in their homes, we estimate that at least one child in every reception school class has been living with abuse for their whole life. Earlier intervention is needed to prevent this ongoing exposure. In a minority of cases (76 of the 20,821 children in our dataset) the child was seventeen years old, and had lived with abuse from birth to adulthood. Domestic abuse has a devastating impact on children, whatever their age. Our Insights dataset shows that families known to Children’s Services were more likely to have children under the age of 5 years old compared to those not known to services (65% vs 55%). National data on the ages of children who are referred to children’s services is not available, but the ages of children who are subject to a child protection plan indicates that younger children are more likely to receive this safeguarding intervention. Fifty children out of every 10,000 aged 1-4 were subject to a plan, compared with 44 of those aged 5-9 and 38 of those aged 10-15. While older children may be at less physical risk, exposure to abuse has an effect on children of all ages, unrelated to their ability to keep themselves safe. For instance, children over ten were much more likely to try to intervene to stop physical abuse (27% of children over ten, compared to 15% of those under ten). Additionally, Children’s Insights data reveals that over half (52%) of children exposed to abuse said they found it difficult to sleep, and almost a third (30%) felt like the abuse was their fault. The same children exhibit higher rates of behavioural problems than their peers, and engage in more risk-taking behaviour, making them vulnerable to other forms of abuse, exploitation and harm. In 2017, only 57% of the children involved in Insights cases were known to have been referred to children’s services before the victim sought help. Additionally, a substantial proportion of these referrals (31%) had resulted in no action or had not proceeded beyond initial assessment or enquiries. This is consistent with government’s own data on all referrals, which shows that in 2015-16, one in ten referrals to children’s services in England (9.9%) resulted in no further action, and a further quarter (25.4%) resulted in an assessment but the child was assessed not to be in need. 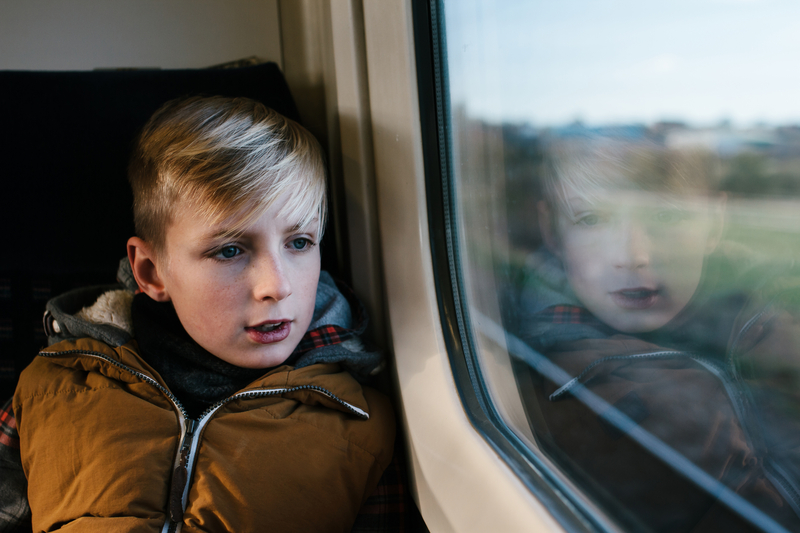 For children who are assessed as not needing this statutory support, there may not be any other support available to address the concerns that resulted in their referral. For instance Action for Children found that of those whose cases were closed after assessment, only 1 in 4 were referred on to Early Help. A 2017 inquiry by the All Party Parliamentary Group for Children found that Local authorities are too often failing to reach children and families who need help, with strain on resources being a key obstacle to meeting children’s needs. Of the 127 local authority children’s social care departments that have been inspected under the most recent framework, almost half (47%) are rated as ‘requires improvement’ for their response to ‘children who need help and protection’, and a further quarter (24%) as inadequate. Unsurprisingly, Insights data suggests that families with Children’s Services involvement are more likely to be experiencing physical violence (71% vs 57%); one of the most visible forms of abuse. But there are many other forms of abuse that can more easily remain hidden, such as coercive and controlling behaviour. Families known to Children’s Services are also significantly more likely to have disclosed complex needs, including drug misuse (6% vs 2%), alcohol misuse (8% vs 3%) and/or mental health issues (36% vs 26%), compared to families with children who are not known to children’s services. However many victims do not disclose these needs, as identified by SafeLives’ report Cry for Health. Where there are children in the family, this can be an added barrier to disclosing both domestic abuse and other needs. Overcoming these barriers to disclosure and understanding the full range of experiences within the household is vital to supporting children affected by Domestic Abuse. Adverse childhood experiences (ACEs), such as being exposed to domestic abuse or substance misuse in the home, have been found to have an impact on long term health and behavioural outcomes, and a combination of ACEs can increase this risk even further. In a study by Public Health Wales those with four or more ACEs were 14 times more likely to have been a victim of violence over the last 12 months, compared to those with no ACEs. The recent joint inspection report by Ofsted, HMIC, the Care Quality Commission and the Inspector of Probation found that where children are living with domestic abuse, accepted practice is to prevent, protect and repair, but that in reality far too little is being done to prevent domestic abuse and repair the damage it does. In particular, the inspectorates called on Children's Services teams to be bold in more actively focusing on and holding accountable the perpetrator of harm, rather than the non-abusive parent.